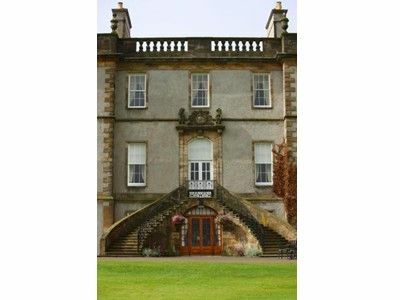 The Dalmahoy Hotel and Country club is in a beautiful location just 7 miles from Endiburgh. Set on a 1,000 estate, this elegant Scottish hotel offers the ideal base for a peaceful countryside break. On site golf course, luxury spa and swimming pool. Our Hotel accommodation includes spacious guest rooms featuring luxury bedding, mini-bar, and wireless Internet access. Our Hotel has excellent event facilities such as certified wedding and event planners, expansive catering services and beautiful manor and gardens. On site we have an awarding winning restaurant and Cafe bar. Our Luxury Hotel has two 18-hole golf courses (one championship course), a PGA-approved golf academy, gym, indoor swimming pool, spa and tennis court. Our Hotel is set within 1,000 acres of parkland, just 7miles from the city of Edinburgh. For more information or to book Dalmahoy Marriott Hotel & Country Club Luxury Hotel near Edinburgh, please click on the 'Visit our Website' or 'View Availability' links above.We hope you enjoy your visit to Edinburgh , in Edinburgh Region. Please see the map below for our location and links to local attractions and things to do in the area.